With just 2 months until Play NYC, we're excited to reveal the first 23 exhibitors joining us on August 19-20 at Terminal 5! For 5 years, Playcrafting has been working alongside developers providing the tools they need to deliver the games they imagine. Now we're gearing up to bring NYC the convention it deserves. With gratitude and excitement, we announce that NYU Game Center, Simple Machine, TinMoon Studios and 20 more exhibitors have signed on to show their games! 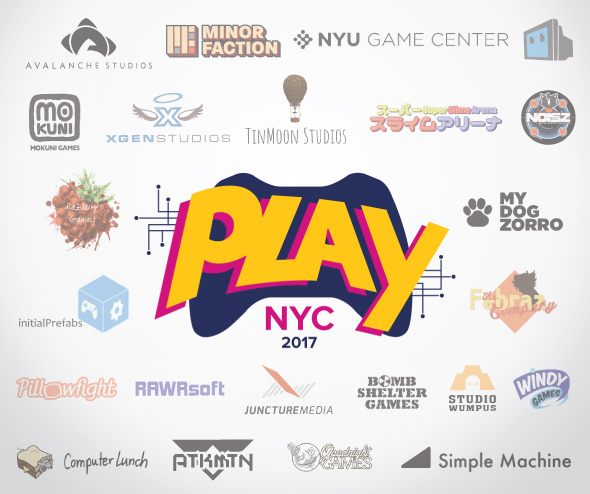 Many of the developers from these companies and institutions have been with Playcrafting since the very beginning and we're delighted they'll be joining us as we welcome 5,000 people to the first annual Play NYC convention. See the full list of confirmed exhibitors below, with many more being added in the coming weeks. Get the Early Bird Discount on all ticket types before July 21st. ‍Play 3 floors of games. ‍Talks and panels for developers and industry pros. Want to become an exhibitor to show your own games? Be a part of the first-ever Play NYC. Booths are filling up fast.